Fortunately for today's bibliophiles, there are things like the StoryBundle--a second-of-its-kind "pay-what-you-want" indie e-book bundle (Snug Nugget's Book Bundle, which came out roughly four days before, is the first). Entitled the Big Bang Bundle, the concept behind the StoryBundle is one that will be instantly familiar to Humble Bundle enthusiasts. Want the DRM-free books in the bundle? Pay whatever you like; just make sure you're willing to spend at least a dollar. Want to get the bonus books? Pay the requested minimum. You can choose how your money gets distributed amongst the authors and the folk behind the StoryBundle. You can also elect to send the books as a gift, or donate $10 to one of the pre-selected charities. I'm seriously hoping that this is going to precipitate more interest in reading and in indie writers. There's simply not enough of either going on. Interested in some new reading material? 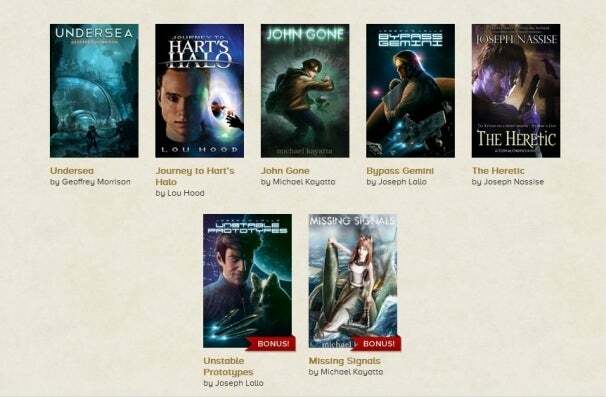 Head on over to the StoryBundle site and get your geek on!